Autolack Mitsubishi 10207 Off Black Matt Bumper (L300) Matt Basislack H2O 1 Ltr. Autolack Mitsubishi 10554 Light Green (Interior) Uni Basislack H2O 1 Ltr. Autolack Mitsubishi 10570 Brown (Interior) Uni Basislack H2O 1 Ltr. Autolack Mitsubishi 10578 Green Grey (Interior) Uni Basislack H2O 1 Ltr. Autolack Mitsubishi 10589 Lavender (Interior) Uni Basislack H2O 1 Ltr. Autolack Mitsubishi 10601 Beige (Interior S70-K78) Uni Basislack H2O 1 Ltr. Autolack Mitsubishi 10614 Green (Interior) Uni Basislack H2O 1 Ltr. Autolack Mitsubishi 10632 Maroon(Interior R07-R25-R48-R64-R88) Uni Basislack H2O 1 Ltr. Autolack Mitsubishi 10635 Dark Brown (Interior) Uni Basislack H2O 1 Ltr. Autolack Mitsubishi 10757 Dark Blue (Interior) Uni Basislack H2O 1 Ltr. Autolack Mitsubishi 10761 Orange (Interior) Uni Basislack H2O 1 Ltr. Autolack Mitsubishi 10788 Olive Green (Interior) Uni Basislack H2O 1 Ltr. Autolack Mitsubishi 10826 Light Blue (Interior B80) Uni Basislack H2O 1 Ltr. Autolack Mitsubishi 10828 Dark Brown (Interior C41-C46-C91) Uni Basislack H2O 1 Ltr. Autolack Mitsubishi 10898 Turquoise (Interior T72) Uni Basislack H2O 1 Ltr. Autolack Mitsubishi 10899 Olive (Interior G84) Uni Basislack H2O 1 Ltr. Autolack Mitsubishi 10955 White (Interior A18-W20-W75) Uni Basislack H2O 1 Ltr. Autolack Mitsubishi 10958 Grey (Interior) Uni Basislack H2O 1 Ltr. Autolack Mitsubishi 11018 Green (Interior) Uni Basislack H2O 1 Ltr. Autolack Mitsubishi 11019 Brown (Interior) Uni Basislack H2O 1 Ltr. Autolack Mitsubishi 11059 Light Purple (Interior) Uni Basislack H2O 1 Ltr. Autolack Mitsubishi 11061 Grey (Interior) Uni Basislack H2O 1 Ltr. Autolack Mitsubishi 11062 Dark Grey (Interior) Uni Basislack H2O 1 Ltr. 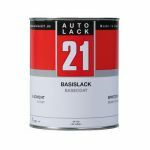 Autolack Mitsubishi 11069 Grey (Interior T25-H81) Uni Basislack H2O 1 Ltr. Autolack Mitsubishi 11111 Green (Interior G39) Uni Basislack H2O 1 Ltr. Autolack Mitsubishi 11113 Blue (Interior T83-T95) Uni Basislack H2O 1 Ltr. Autolack Mitsubishi 11133 Bleu (Interior) Uni Basislack H2O 1 Ltr. Autolack Mitsubishi 1115 Branco Japan Uni Basislack H2O 1 Ltr. Autolack Mitsubishi 11194 Dark Blue (Interior) Uni Basislack H2O 1 Ltr. Autolack Mitsubishi 11233 Dark Blue (Interior) Uni Basislack H2O 1 Ltr.